Discussion in 'iPhone and iPad Games' started by Limelight, Dec 26, 2015. 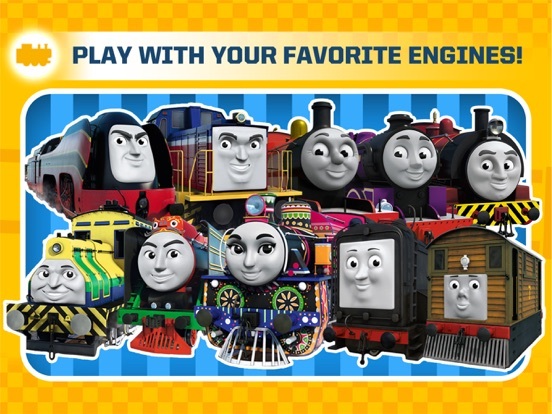 Meet Thomas and his engines friends on the rail! 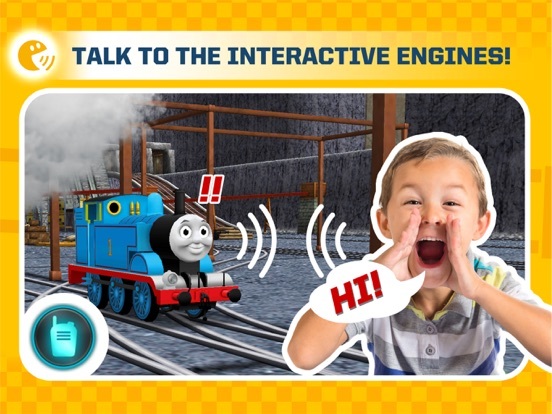 With the new Augmented Reality (AR) and Voice Control function, meet your favorite engines in the real world and speak with them! 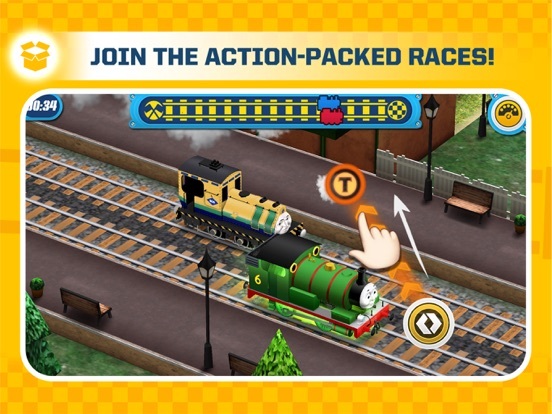 You can also set up races, choose your favorite engines, and tap the screen to make the engines run faster to win races in this fun, kid-friendly racing adventure. 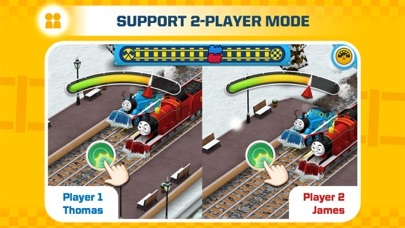 Play the game with a friend on the same device using side-by-side 2-player mode! 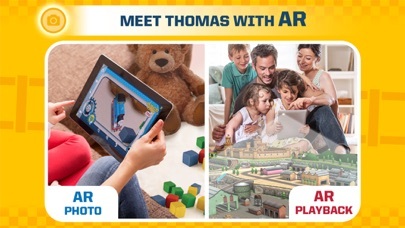 Join Thomas and his friends on their thrilling adventure on the Island of Sodor! 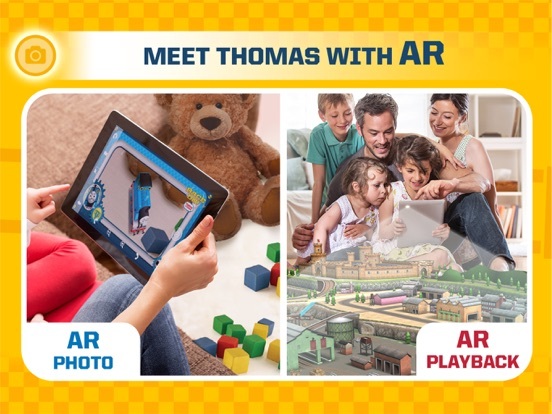 *** MEET THE ENGINES WITH AUGMENTED REALITY (AR) *** With the new Augmented Reality (AR) function, you can now make your favorite come to life in the real world (available in iOS 11+). 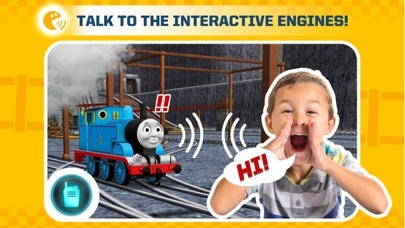 *** SPEAK AND INTERACT WITH THE ENGINES *** Use the voice control to give commands to the engines, speak with them and interact with them (available in iOS 11+). 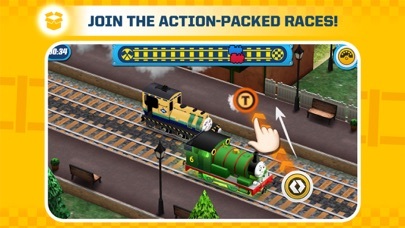 *** 2-PLAYER MODE *** Select two trains and challenge your family and friends in the 2-Player Mode! 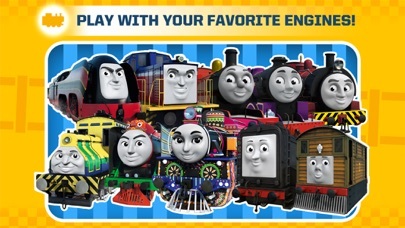 *** RACE AS THOMAS AND HIS OTHER ENGINE FRIENDS *** Including Percy, Gordon, Henry, James, Edward, Toby, Emily, Diesel, Ashima, Raul, Yong Bao, Ivan, Axel, Ryan, Victor, Oliver, Donald, and Douglas! *** EXPLORE THE ISLAND OF SODOR *** Explore a beautiful island including a mountainous quarry, a quaint castle, and a snowy town! *** COMPLETE MISSIONS FOR GLORIOUS REWARDS *** Finish quests to unlock tons of extra goodies such as buildings, engines, and coaches. 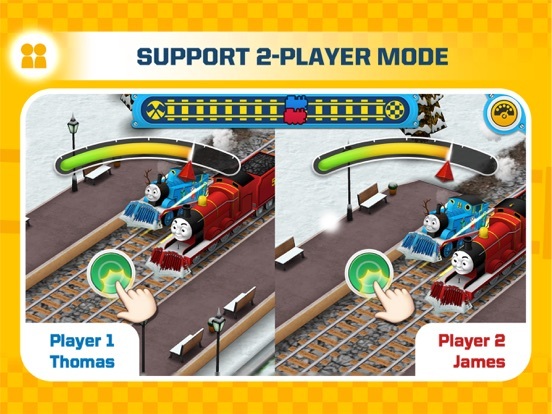 Want to boost Thomas and his engine friends? Here’s how to play: ● Arrow button: Swipe in the correct direction. ● Green button: Tap and hold to speed up. ● Star buttons: Tap all of them! ● Circles and path: Drag the button along the path until it reaches the other circle.